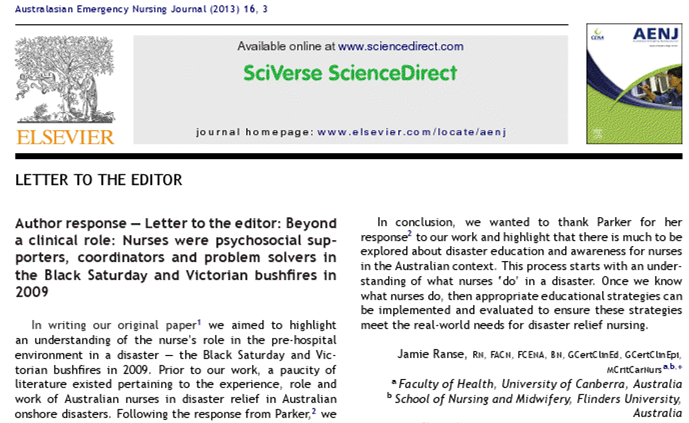 Author response — Letter to the editor: Beyond a clinical role: Nurses were psychosocial supporters, coordinators and problem solvers in the Black Saturday and Victorian bushﬁres in 2009. 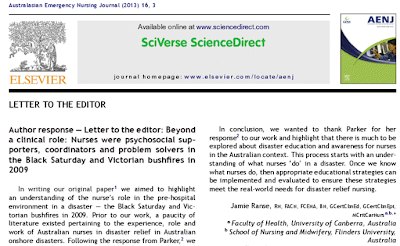 I was fortunate to have someone write a letter to the editor to my original article titled: Beyond a clinical role: Nurses were psychosocial supporters, coordinators and problem solvers in the Black Saturday and Victorian bushfires in 2009, which was coauthored with Shane Lenson. 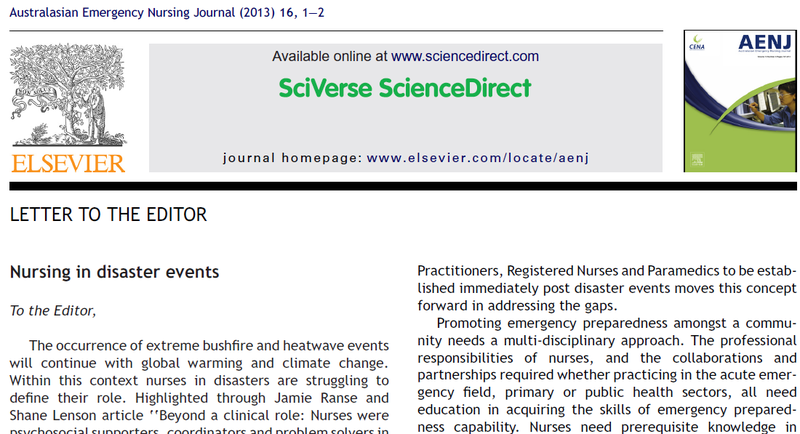 This letter to the editor was published in the journal Australasian Emergency Nursing Journal. The author make a number of observations regarding our work. In response to this letter to the editor, Shane Lenson and I wrote a response. 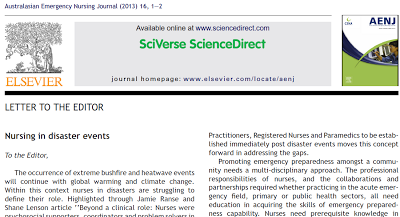 This response was also published in the Australasian Emergency Nursing Journal .